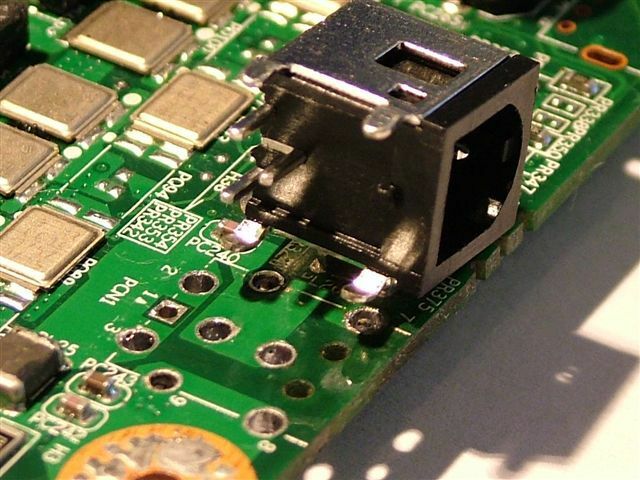 If your laptop won’t charge or you can see that the power jack is loose or is broken inside your laptop that’s a sign that you may need to replace the power jack. We provide this service for a flat fee of $100. This fee includes the cost of the new power jack. Sometimes the laptop won’t get power and won’t turn on because of the motherboard. If that’s the case we won’t charge you anything for the power jack replacement. And if you still will want to fix the laptop we can replace the bad motherboard with a new one.